This starts out reasonable, and then descends into gibberish. Yes it is true that logical positivists and the founders of quantum mechanic were following a self-evident description of the scientific process. It is also true that philosophers abandoned logical positivism, and along with it they abandoned scientific objectivity and progress towards truth. It is not true that logical postivism fails its own test. But then the paragraph about the Higgs boson is nonsense. 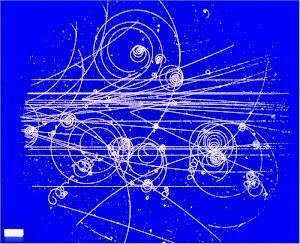 You could say that the Higgs was not detected directly, but you could say the same about electrons and photons. Quantum mechanics teaches that there is no such thing as a real particle, in the classical sense. 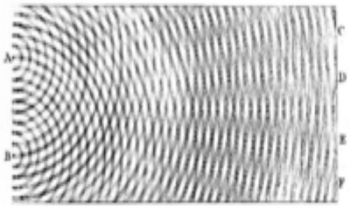 There are fields and waves that have particle properties in certain observations. The only difference with the Higgs is that a lot of other particles are detected at the same time, so finding the Higgs is technically very difficult. But it is still an observation, just like all the others in the Copenhagen. After attacking Copenhagen, the article moves on to other interpretations but finds them unsatisfactory also. Bell was one of the last century’s deepest thinkers about science. As he put it, quantum theory ‘carries in itself the seeds of its own destruction’: it undermines the account of reality that it needs in order to make any sense as a physical theory. On this view, which was once as close to heresy as a scientific argument can be but is now widely held among scientists who work on the foundations of physics, the reality problem is just not solvable within quantum theory as it stands. The problem here is that philosophers, Bell, Einstein, and physicists working on quantum foundations have abandoned scientific common sense in favor of a 19th century view of science. The founders of quantum mechanics thought that science was all about observation, and were happy with the theory. They have been replaced by fools who think science is all about postulating unobservable multiverses, hidden variables, and other fictions.